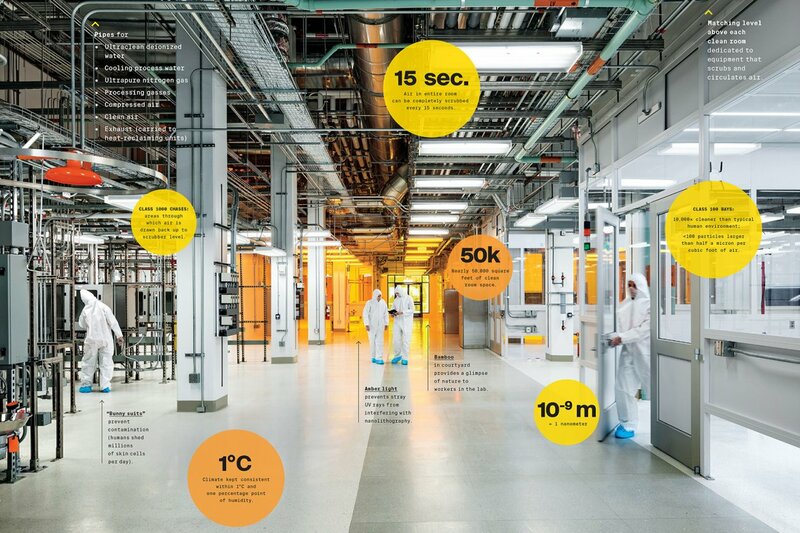 This fall marked the grand opening of MIT.nano, an ambitious six-year project to build a state-of-the-art facility for nanoscience and nanotechnology at the heart of the campus. 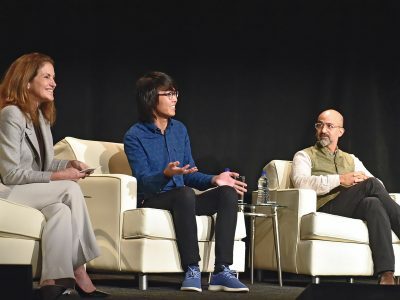 Construction now complete, the journey begins to fill MIT.nano over the next three to five years with the tools and instrumentation thousands of researchers will use to design matter and materials like nature does—atom by atom and molecule by molecule. 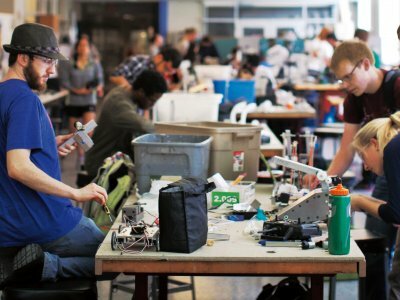 It is delicate, precise work that will transform fields as far-ranging as energy, health, computing, and manufacturing. MIT.nano houses a remarkably quiet imaging/metrology facility, an immersion lab for digital visualization, prototyping labs, chemistry teaching labs, and art galleries. Many of the building’s instruments have yet to be purchased; others have yet to be invented. The first to be installed—a pair of multimillion-dollar cryogenic electron microscopes housed in the basement—can image organic structures in 3-D near-atomic detail, a technology that only recently became commercially available. 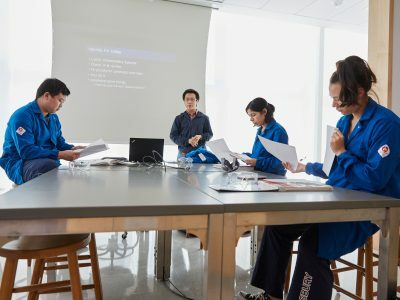 In the meantime, one of the greatest resources MIT.nano has to offer is already in place: space. And exceptionally pristine space, at that. 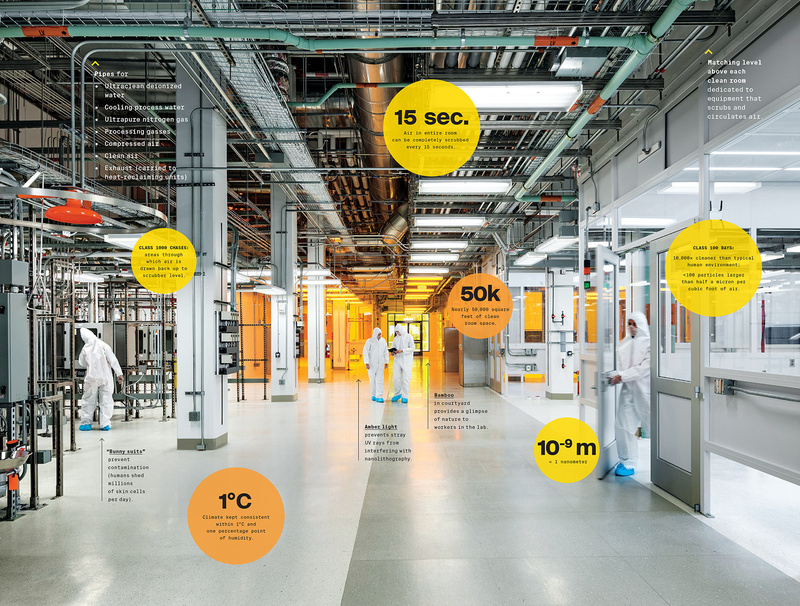 A major portion of the facility’s square footage is devoted to two capacious clean rooms in which the air is scrubbed of dust and other contaminants that could disrupt research at the nanoscale.